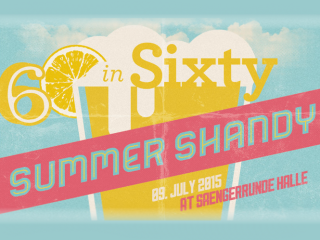 Fusebox Festival presents "Sixty-in-60: Summer Shandy"
Keep the groove going with Fusebox Festival at this fun, fast-paced party. The concept is simple: Sixty solo performances — each 60 seconds in length — are performed back to back to back, in rapid-fire succession. The evening will also feature a shandy bar, participatory drinking songs, a blowout dance party and an optional pre-show dinner (for an additional cost).